Deal time! 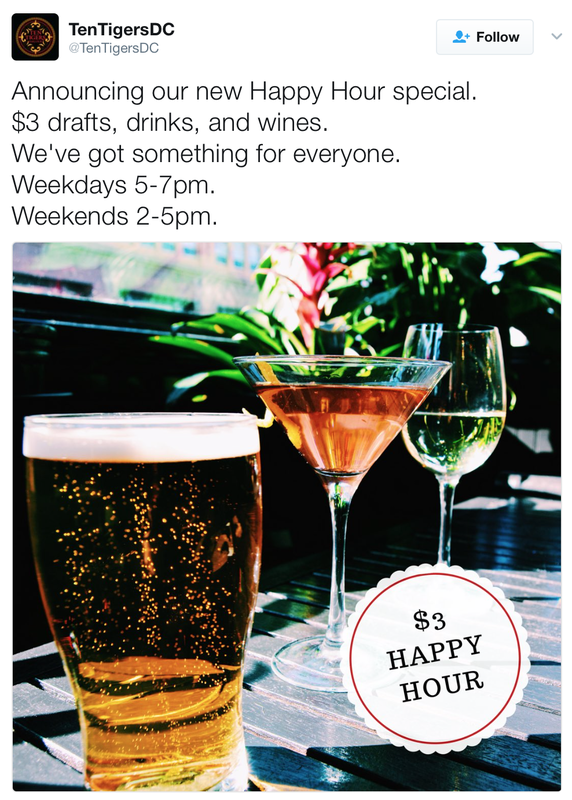 Ten Tigers, the pan-Asian spot at 3813 Georgia, the old Chez Billy spot, just announced an awesome happy hour: $3 drafts, drinks and wine from 5-7pm weekdays and 2-5pm on weekends. Sounds like a good spot for afternoon weekend drinks. They also host events and are open during the day with coffee and pastries. I stopped by a while ago, nice interior and tasty Vietnamese coffee. I haven't eaten dinner there but have heard good things.